A Contra Costa County Sheriff's deputy is facing five counts of attempted murder in Sacramento for opening fire inside of a home filled with multiple people early Friday morning, according to Sacramento police. 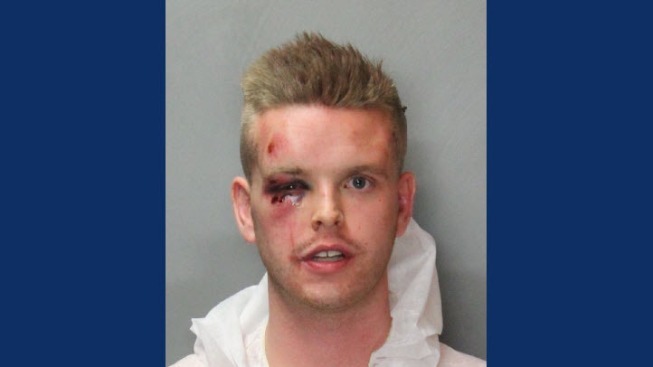 The officer, who has been identified as 23-year-old Kyle Rowland of Sacramento, was attending the gathering along with roughly 10 other people in the 1100 block of G Street before he left at some point, police said. About 2 a.m., Rowland returned to the house with a gun, prompting a scuffle with people inside the residence. Several people tried to seize the gun from Rowland, but he managed to fire an undisclosed amount of shots. Sacramento police officers arrived at the house and arrested Rowland, police said. They recovered two firearms at the scene. Rowland was booked on attempted murder charges at the Sacramento County Main Jail. Rowland, who joined the Contra Costa County Sheriff's Department in October, has been terminated, according to sheriff's spokesman Jimmy Lee. Rowland also was an accomplished blues artist who performed regularly at Biscuits and Blues in San Francisco's Union Square. People at the club described Rowland as a baby-face kid with a mountain of talent who has never shown any signs of aggression. Steven Suen has booked Rowland and his band at Biscuits and Blues since before Rowland was old enough to legally drink. He was stunned to hear about the shooting. "I totally don't believe that is case," Suen said. "I mean, you know, he's such a nice kid. You know, every time I see him, he's friends with so many people. I have never seen this side of him at all." Witnesses said Rowland was acting strange at the house party and was asked to leave. He came back armed with a gun and started shooting, they said. Rowland had fresh cuts, bruises and swelling around his right eye that resulted from the struggle with partygoers. No one else was injured during the shooting, police said. Witness Joseph Lozoya saw the shooting and scuffle happen right in front of him. "I just told everybody, get down he has a gun, and one of my friends was bold enough, brave enough to jump on him and diffuse the issue," Lozoya said.